Designed for ambitious students and photo enthusiasts, the iP8760 will produce high quality A3+ prints faster than you can imagine, at speeds of ISO 14.5ipm for mono and 10.4ipm for colour. This is delivered with outstanding detail, thanks to minimum 1pl ink droplets and 9600 x 2400dpi resolution. The six-ink system, featuring an individual grey ink, produces exceptionally high-quality colour photos and smooth graduations in mono prints. 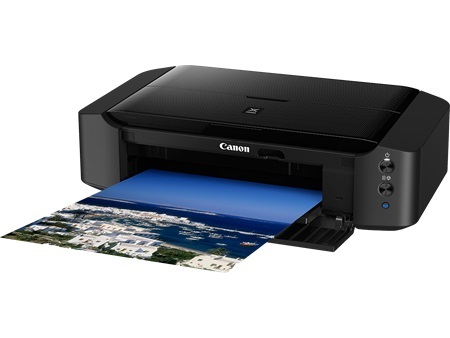 Print from home, on campus, or on the go, from your mobile device, with iP8760’s connectivity features including Apple Airprint, Google Cloud Print and PIXMA Printing Solutions App. The PIXMA iP8760 is the quality all-in-one solution to printing stunning images at home and in the office. • 9600 x 2400 dpi resolution and 1 picolitre FINE print-head technology ensure your pictures get the quality they deserve. The six-ink system, featuring an individual grey ink delivers incredible colour accuracy and image detail to produce high quality colour and mono prints. It is now easier to meet those deadlines, with print speeds of ISO 14.5 ipm for black and white documents and ISO 10.4 ipm for colour documents. • Using the latest mobile and cloud-based technology, we’ve made it possible for you to safely print and scan from a variety of devices and locations. Thanks to the new and improved PIXMA Printing Solutions application, documents and images stored on your iPhone and iPad are no longer locked in that device. This mobile application makes it simple to send print jobs directly to a compatible Canon output device, making the printing the easiest part of your project. • Save your precious memories, whether it be from Hawaii or your 50th, with disc printing. The iP8760 allows you to print directly onto your CD/DVD, saving you the hassle, cost and potential damage of stick-on labels. You can also personalise your designs, making it the perfect gift for family and friends. • Print Speed: B&W: 14.5 ipm; Colour: 10.4 ipm4”X6” photo: Approx. 36 seconds. • Borderless Printing: A3+, A3, A4, LTR, LDR, 4"x6", 5"x7", 8"x10", 10"x12"
• Mobile Phone/Tablet Printing: Print from any iOS or Android smart phone and tablet device through PIXMA Printing Solutions App, available to download at App Store (Apple) and Play Store (Android). Apple AirPrint also supported. • A-B USB cable to connect to Computer not included. Quality is awesome for art prints even on average matte paper. 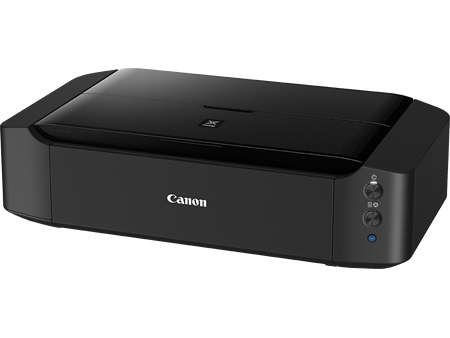 Definitely recommend as a cheaper alternative to the canon pro series.